This is the second digital lecture given on November 24, 2000. 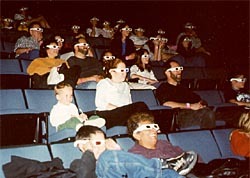 The lecture was presented at the Arizona Science Center's Irene P. Flinn giant screen theater. The speakers were C.J. Kazilek and Gene Valentine. This presentation is best viewed with a screen resolution of 1024 X 768 or greater.